It’s hard to find players who spend their entire careers at just one club these days, especially in soccer and the English Premier League. It’s common to see players sign multi-year deals for the money and then try to force a move elsewhere just months later. The recent summer transfer window was a prime example of this as Leicester City’s Danny Drinkwater committed his future to the club last August and signed a five-year contract to 2021. Fast forward to this August and Drinkwater requested a transfer, was sold to Chelsea, and then inked a five year-deal with the London club. Most fans can expect the disloyal Drinkwater to stay around until a better offer comes along in a year or two. However, there have been some loyal players in the Premier League and we’ll feature the top 10 of them in this list. These are the best Premier League players who spent their entire careers with one club, with a 10-year minimum. These players were wanted by several other clubs at one time or another in their careers, but wisely decided the grass was green enough where they were. Tony Hibbert was steady rather than flashy on the football pitch and could play equally as well in the midfield and the back four. The 36-year-old spent his entire Premier League career on Merseyside with Everton from 1998 to 2016 after joining the club as a boy in 1990. Hibbert was definitely more concerned about his own end rather than attacking as he played 329 games with the squad in all competitions and failed to find the back of the net even once. He also holds the Everton record for most games played in European competitions. Hibbert was a cult hero to Everton fans and he showed his loyalty to them and the management by spending 26 years of his life with the team. Tottenham Hotspur fans will always have a soft spot in their hearts for defender Ledley King as he played 321 times in all competitions for the London club between 1999 and 2012. He joined the team three years earlier as a youth player and managed a total of 15 goals during his senior career. The London-born King was also good enough to represent his homeland internationally. He played for England’s Under-16, 18, and 21 squads and earned 21 caps for the senior side between 2002 and 2010, chipping in with a pair of goals. King would have played more games for Spurs, but suffered several injuries during his career. Chelsea wanted King in the early 2000s, but King proved his loyalty by staying at White Hart Lane. Thirty-nine-year-old television-pundit Jamie Carragher spent his entire 17-year career on the red side of Merseyside from 1996 to 2013 by playing with Liverpool. The former defender played 737 club games for the Reds to rank number two on the all-time games-played list for the club. His 150 appearances in European competitions is also a team record. Carragher spent a decade as a vice-captain and won a Champions League medal with Liverpool along with a UEFA Cup, three League Cups and a pair of Super Cups, Community Shields and FA Cups. Ironically, Carragher spent a year of his youth career with Everton, the blue side of his hometown. He represented England at the Under-20 and 21 levels and played 38 times for the senior squad. Carragher was another player who didn’t worry about attacking as he scored just four times for Liverpool and had none for England. We’ll give former England and Chelsea captain John Terry the benefit of the doubt here as he’s now playing in the Championship League as captain of Aston Villa. Terry was released by Chelsea after the 2016/17 season and would have stayed at Stamford Bridge if he could have. The 36-year-old Terry was one of the best defenders in the world at one time and although he spent some of his youth career with West Ham, his entire Premier League days were with London neighbors Chelsea. He was the club’s most successful skipper as the he led the Blues to a Champions league crown, a Europa league title, three League Cups, four FA Cups and five Premier League championships. Terry scored six times in 78 games for England with 67 goals in 717 matches for Chelsea. Another steady defender for club and country and current television commentator is Gary Neville. His senior career was spent entirely with Manchester United between 1992 and 2011 after joining the club as a youth just a year earlier. Neville was team captain for five of those years and ended up winning 20 trophies with the club. These included a pair of European Champions League victories along with eight Premier League championships. The 42-year-old former right-back played for England at the Under-16 and 18 levels and then went on to make 85 appearances for his country’s senior side between 1995 and 2007. His 85 games at right-back are also an England record. Neville scored just seven times in his 602 games for Man United and failed to score for England, but was an excellent defender. Matthew Le Tissier is unique on this list as he was born on the Channel Island of Guernsey and began his senior career before the Premier League kicked off in 1992/93. He joined Southampton as a youth player in 1985 and began his senior career a year later. He stayed on the south coast until 2002, scoring 209 goals in 540 games. Incredibly, his talents were basically ignored by England and he played just eight times for the senior team. Le Tissier was one of the best goalscorers of his generation, but refused to leave for one of the bigger clubs. Southampton fans were impressed by his loyalty and he was soon known as ‘Le God.’ He’s second all-time on the club’s scoring list and was the first Premier League midfielder to reach 100 goals. One of his specialties was taking penalties and he missed just once in 48 spot kicks. Defender Tony Adams was one of Arsenal’s and England’s best ever and is definitely a Gunners’ legend. The centre-back spent his youth career with Arsenal from 1980 to 1983 and his senior career from 1983 to 2002. During that time, he appeared in 669 games for the London club and chipped in with 48 goals. He added five goals in 65 matches for England from 1987 to 2000 and spent some time as the squad’s skipper as well as Arsenal captain. Adams was another player, like Matt le Tissier, who started his career in the top flight before the Premier League was introduced in 1992/93. He won four league titles with the Gunners along with a pair of League Cups, three FA Cups and a UEFA Cup Winners’ Cup. Adams was regarded so highly by the Arsenal faithful that a statue of him was erected outside Emirates Stadium. One of the Premier league’s best ever passers of the ball was definitely Manchester United and England midfielder Paul Scholes. He was also a pretty good shooter and goalscorer as well. He was a terrible tackler though with 97 yellow cards in the Premier league and an record 37 in the Champions League. Scholes scored 155 times in 718 outings for Man United between 1993 and 2013 and added 14 more in 66 games for his country. He won more than two dozen trophies with the club during his storied career and was still considered to be an elite player at the time of his retirement. He played the third-most games for the famous club and his haul of 25 winners’ medals is the most ever for an English-born player. These include a pair of Champions Leagues as well as 11 Premier Leagues. He also excelled at cricket, but signed with United when he was just 14. One of Liverpool’s living legends is former midfielder and captain Steven Gerrard. He was the team’s inspirational leader and led the Reds to their famous 2004/05 Champions League triumph after falling behind 3-0 to Milan. He was a scorer of big goals and always took the game by the scruff of the neck when he felt his team was in trouble. He managed to score at least one in an FA Cup, League Cup, Champions League and UEFA Cup Final. Gerrard starred on Merseyside from 1998 to 2015 and scored 186 goals in 710 games. He added another 21 goals in 114 appearances with England and then played with the Los Angeles Galaxy for 38 games when his Premier League career came to an end. Gerrard joined the Liverpool academy when he was just nine years old and has come full circle as he now coaches there. 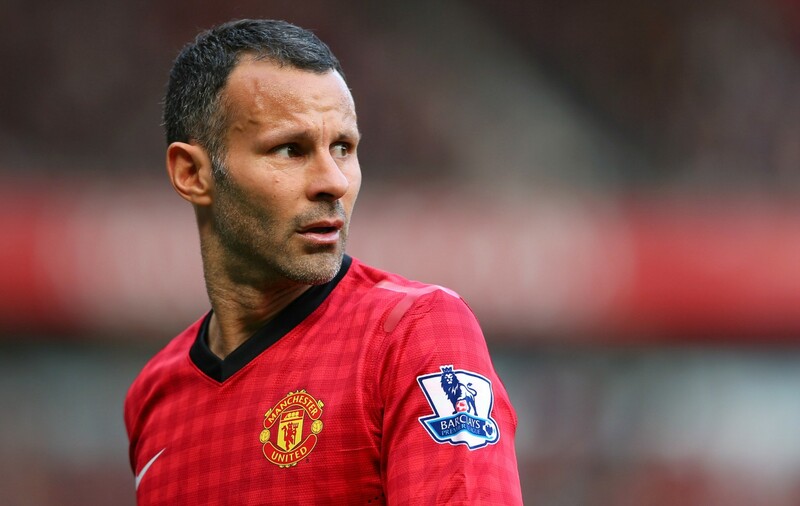 Ryan Giggs is one of the best footballers to ever come out of Wales and he holds numerous records for his country and club, which happened to be Manchester United. He’s won the most winners’ medals in the history of English soccer and played the most competitive games ever for Man United. He was on the winning side for 13 Premier League titles, four FA Cups, three League Cups and a pair of Champions League crowns. And let’s not forget he also took home numerous runners’ up medals. The winger actually started his youth career with Manchester City, but spent his senior days all with United between 1990 and 2014. Giggs scored 168 times in 963 contests for the club and added a dozen goals for Wales in 64 outings. He also scored once in four games for Great Britain at the 2012 Olympics.